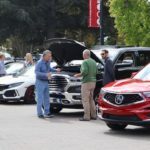 On Monday, October 1, the Western Automotive Journalists and the Autotech Council met at the Computer History Museum in Mountain View, California for their annual high-tech automotive event. 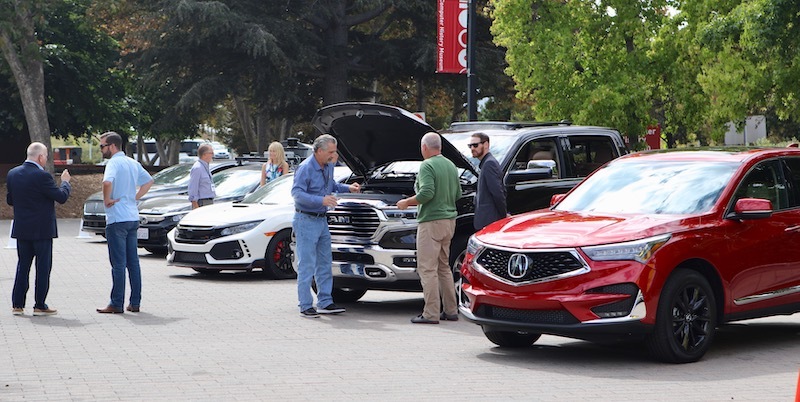 The all-day program featured more than a dozen interesting speakers, the Autotech Council Science Fair, and some outdoor displays during the tasty lunch. At a little after 10 a.m., WAJ President Charlie Vogelheim welcomed the attendees and introduced the first speaker, Sven Beiker. Sven Beiker, from SiliconValleyMobility.com, talked about ACES – the four high-tech topics that would be discussed all day. 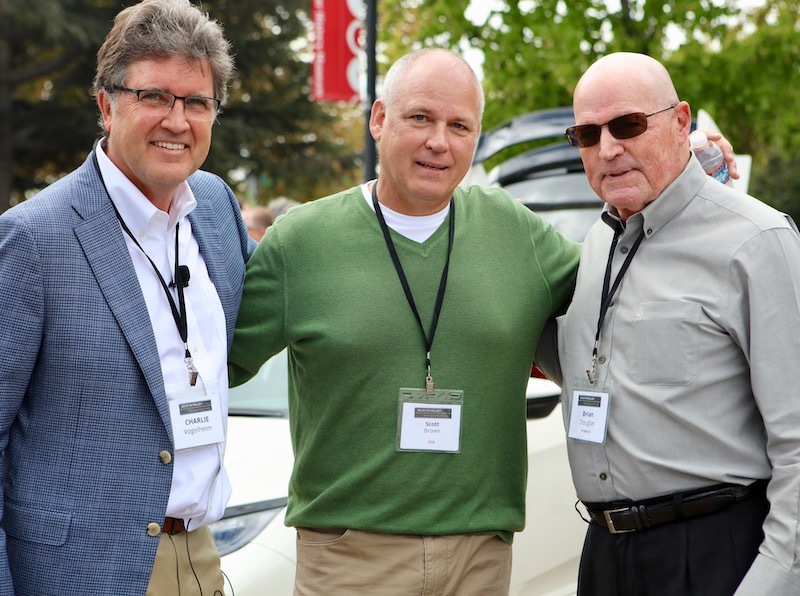 The four letters stand for Autonomous, Connected, Electrified, and Shared. 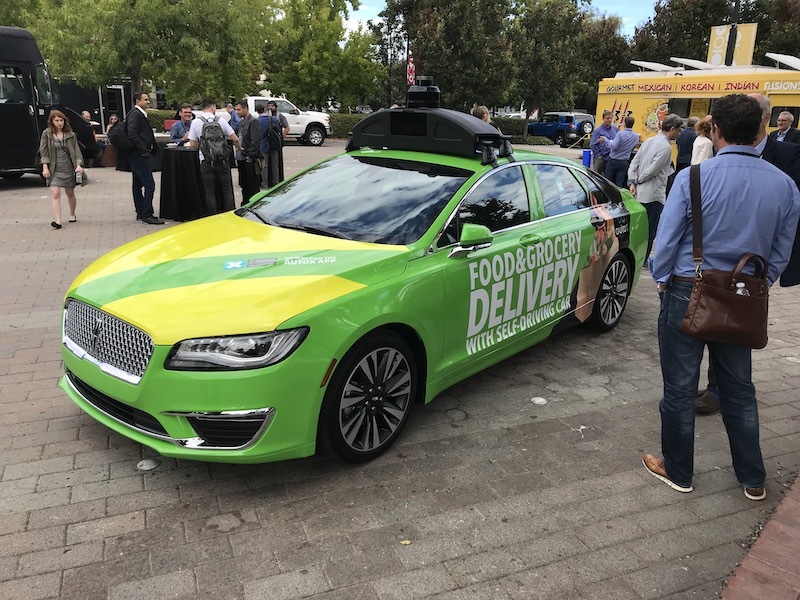 In Autonomy, there’s been a lot of progress in the last year, including partnerships with smaller companies. But there have been accidents. The technology is still somewhat limited, but we need to make sure it all comes together and becomes the next transportation experience. 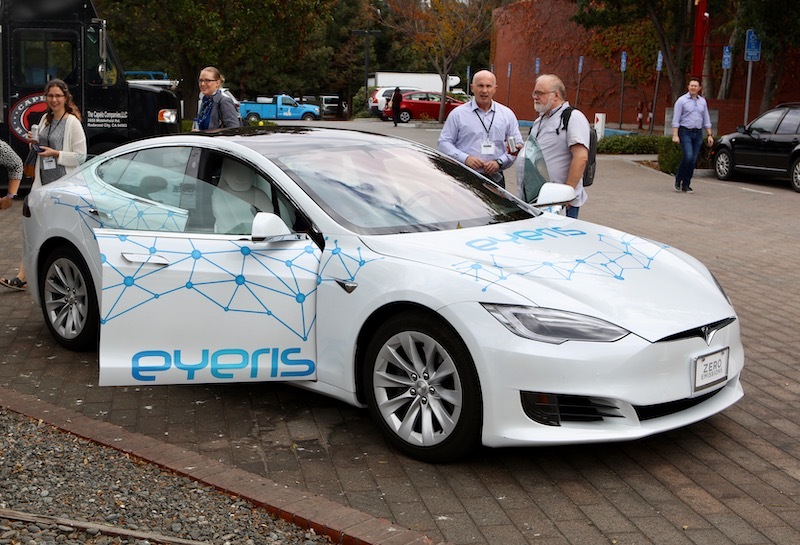 For Connected cars, one company can’t do it – it’ll be a group effort. Electrification has seen progress and growth, but since 2014 not much progress…with consumers. Perhaps more subsidies will help and new policies and technology. With the fourth, Sharing, partnerships are key. 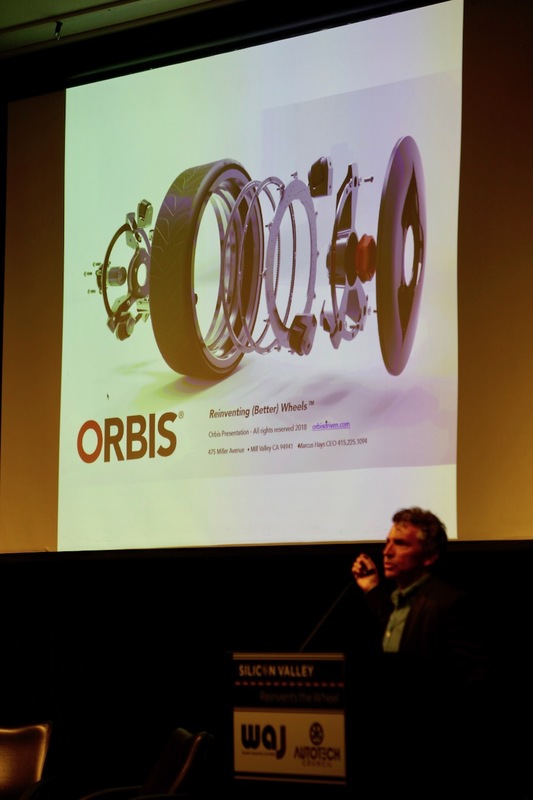 The next speaker was Marcus Hays, of Orbis. 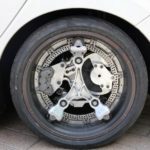 This company has created Ring Drive- the reinvented wheel. It has the benefits of electric motors but uses a stationary hub and a rotating rim. There are many performance improvements with Ring Drive, which Marcus discussed. They brought a demo to view, as well. They have offices in Redwood City office – but their headquarters is in Santa Rosa. 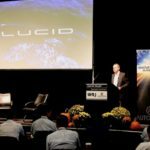 Next came Peter Rawlinson, Chief Technical Officer of Lucid. 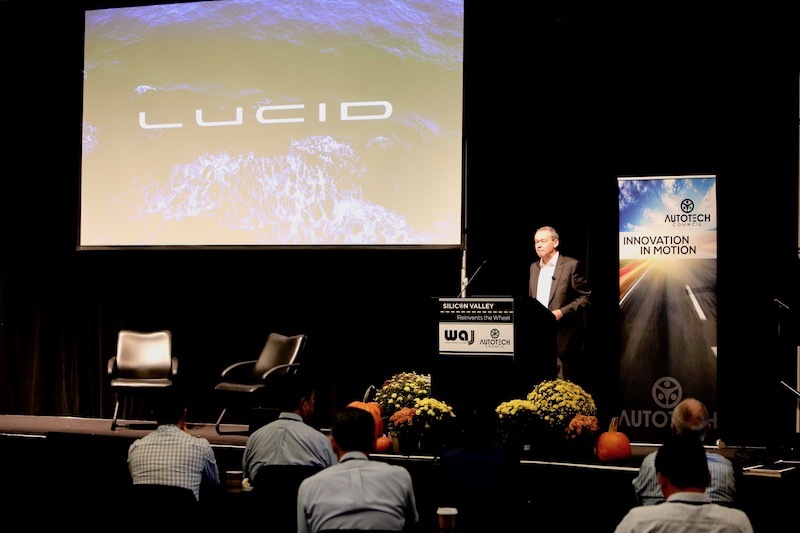 With funding secured, the Bay Area auto manufacture plans to deliver cars in two years. 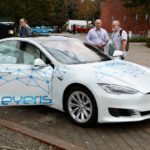 Rawlinson spent his time talking about the future of EVs rather than his own vehicle. In the next 4-5 years he sees massive advancement and proliferation of EVs. 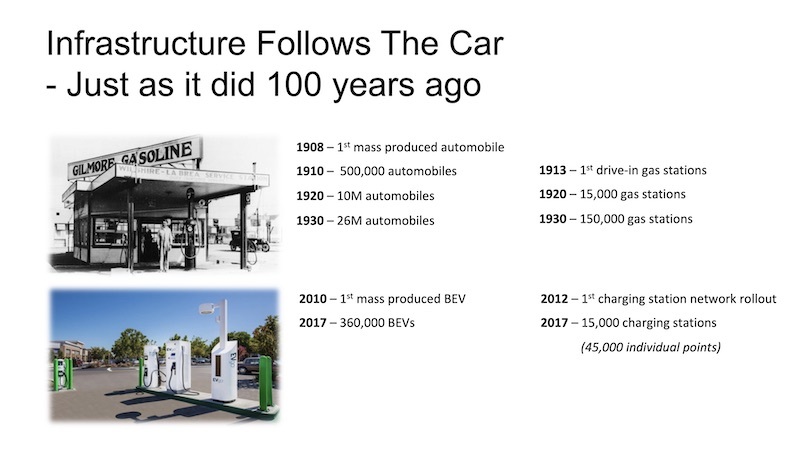 He described the three eras of EVs, including ones from 100 years ago, the first Nissan Leaf, and the third—Tesla (and others). Era 4 would be, of course, the Lucid Air vehicle. Rawlinson believes that our current state is like smartphones in 2006-7. To proliferate the uptake of EVs and create an affordable family vehicle is the real challenge. He described three types of battery cells (cylindrical, prismatic, and pouch) and described the advantages of cylindrical. Batteries still weigh too much, though. Improvements have come from the rest of the system, including inverters and moving from an Induction motor to a permanent magnet. Rawlinson talked about 800-volt charging but said that cell chemistry is the limitation – 4.2 v for each, so there’s no great advantage for cars. It is simply cooler temperature—which is why it’s important in transporting it over lines. Rawlinson thinks with the transformations that are coming, we should be able to have a sub $25K family EV in the next few years. 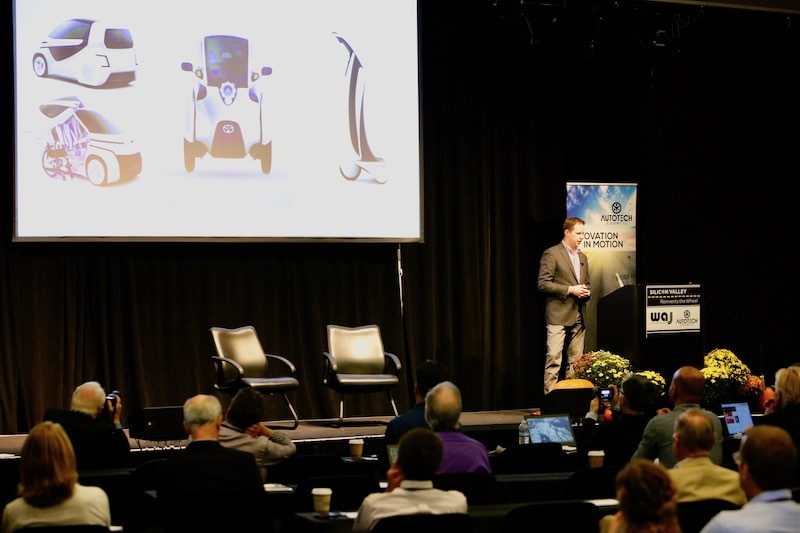 John Tintinalli, Global Product Executive of SAE International discussed his mission to expand SAE International’s delivery of knowledge based solutions to further the evolution of mobility. The SAE standards make sure all vehicles work together. 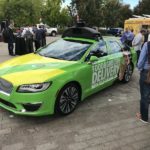 They are working on globalizing automated vehicle testing. The SAE is a standards development organization, and has been around globally since 1905, and has 137,000 members worldwide. 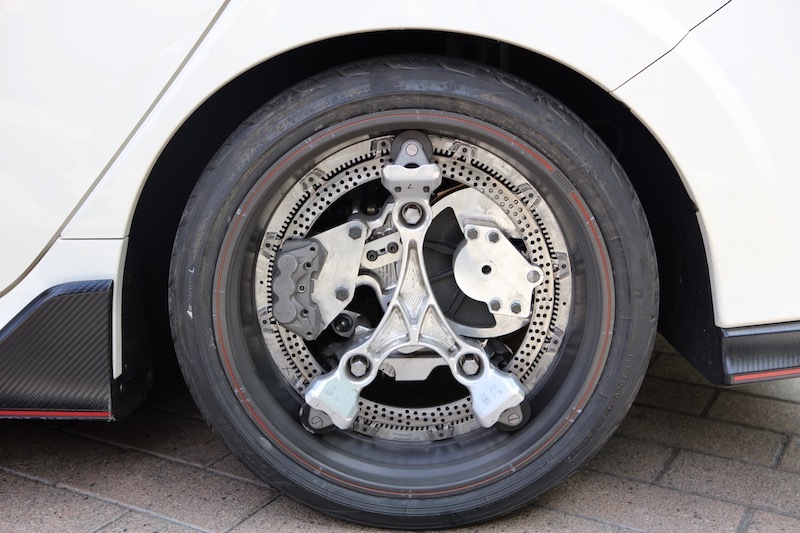 The SAE brings experts together to form specs, standards, and some become regulations. The have many committees, for example they have 30 just on batteries and electrification. Their goal is to create standards, so you can make it anywhere and it’ll work anywhere. It gets complicated with different bodies all over the world at different level. There are lots of different plugs, roads, and environments. And environments are changing fast, so it’s hard to keep up with it. He is looking forward to SAE Mobilus, an automated and connected knowledge hub that’s coming at the end of the year. 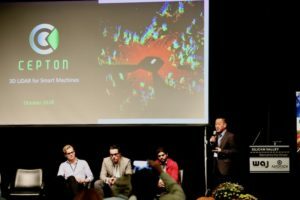 Autotech Council’s Derek Kerton introduced five entrepreneurs, who each took five minutes to present their company and product. Derek believes we need stronger engagement between Silicon Valley and car manufacturers. 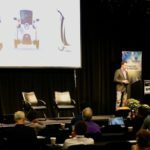 Torben Spitzer, VP Product & Marketing, spent time describing how FreeWire deploys battery systems to increase the scalability of EV infrastructureIf to electrify all cars, it doubles the energy needs from the grid. The Gordian Knot of EV adoption is – charge, infrastructure, and grid. Batteries and storage can manage the grid. Charging cars from batteries takes load off the grid. Yasin Arif, CEO of Stowk, described his company as a Blockchain Supply Chain Management (SCM) company based in Berkeley and Sunnyvale. He said that “blockchain lets you Centralize, Automate, Visualize, Secure using Blockchain. Blockchain enables centralized trust, is open source, and can be deployed quickly”. Johan Forseke said that Greater Than AB is a Sweden-based company active in the field of technology. It develops information technology (IT) solutions and platforms designed to improve car driving. Johan talked about how to measure safe and smart driving and predict the accident ratio. The company provides white label solutions for companies. They have built reference profiles over 14 years of AI driver profiling, in partnership with the FIA. They can train autonomous cars. Quan Vu, Director of Business Development, described how their company produces 3D Lidar for automotive applications. The company is two years old, has grown to 50 employees and has four products that are used by 61+ customers. They have created micro motion technology (MMT) that uses no mirrors, rotation, or friction. Martin Mantalvanos, CEO described how his company works to understand infrastructure and human behavior for autonomous vehicles. There needs to be an ability to share info, build accurate maps, and provide an open source data exchange platform. Their product is a live, simulated digital twin city environment for AVs, where data becomes algorithms and numbers. During lunch, while eating from gourmet food trucks, Attendees learned about Tectonics speakers, which use an activated membrane instead of the usual cone. This eliminates the need for tweeters and creates a much more multidirectional sound. 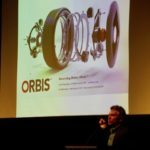 I also had a chance to see the Orbis’ Ring Drive. 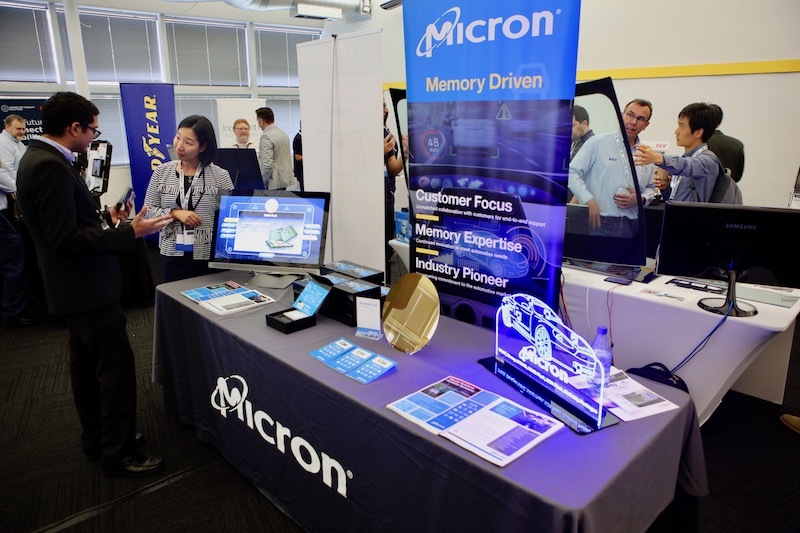 During lunch and up until 4 p.m. there was a science fairfor various companies to show off their ideas and products. In the afternoon, after lunch, there were more interesting presentations. Dragos Maciuca – technical director from Ford, presented about Greenfield Labs Palo Alto, one of three Ford innovation centers. The other two are in Dearborn, Michigan, and Aachen, Germany (electrification). The Palo Alto office has grown from 10 people to 250 and one building to three. They have talked with more than 1,000 startups and built synergies with more than 100 of them. 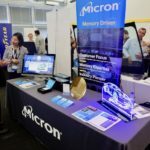 Maciuca believes Ford needs to be here now, with all the fundamental changes in software, and how quickly it’s happening. Now, Ford is becoming an auto and mobility company. Autonomy has been successful in aviation already, but it’s highly regulated and professionals are the pilots. Things will never be perfect, but we need to learn and transfer the knowledge to the car industry. The question is whether to improve by making it better in cities or improve the commute. Powell Kinney, Chief Product Owner – Toyota Connected, talked about The Car Connected. Kinney runs mobility services platform. He said that Toyota is turning from an automobile company into a mobility company. Toyota began as a loom company before manufacturing cars. He showed a video that depicted the e-Palette autonomous vehicle system delivering various services to customers. Examples included a mobile shoe store, moving space, or office. They are moving from software to a Mobility Services Platform. 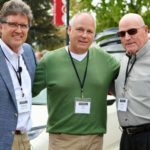 Toyota Connected was started in Plano, TX two years ago. Out of 200 employees, 90 percent are software developers, using an Agile software approach. Kinney showed Servco a service in Hawaii that built out a mobility offering. Danny Shapiro of Nvidia talked about their photo-realistic simulation software. 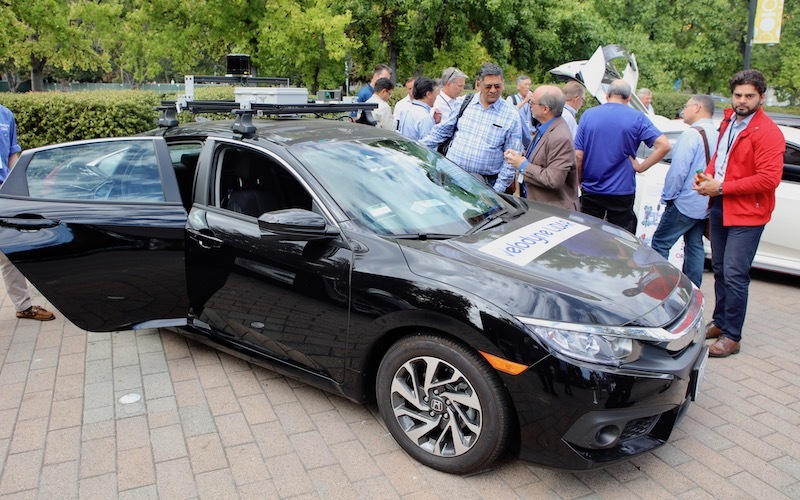 With 20 years with the auto industry, in the last 10 years they’ve worked with software in the vehicles, the last five years in AI for autonomous vehicles. Shapiro sees the key as a rise of GPU computing, because the CPU can’t handle the massive data that needs to be processed for AI in autonomous cars. Nvidia Drive provides training, simulation, and driving to validate the software virtually, without having to drive on a road. The massive amount of data actually writes the code. Simulation provides safety over billions of miles of virtual testing. 370+ partners are currently developing on Nvidia. The simulation Kinney demonstrated is being built for them now, and they will release it later. 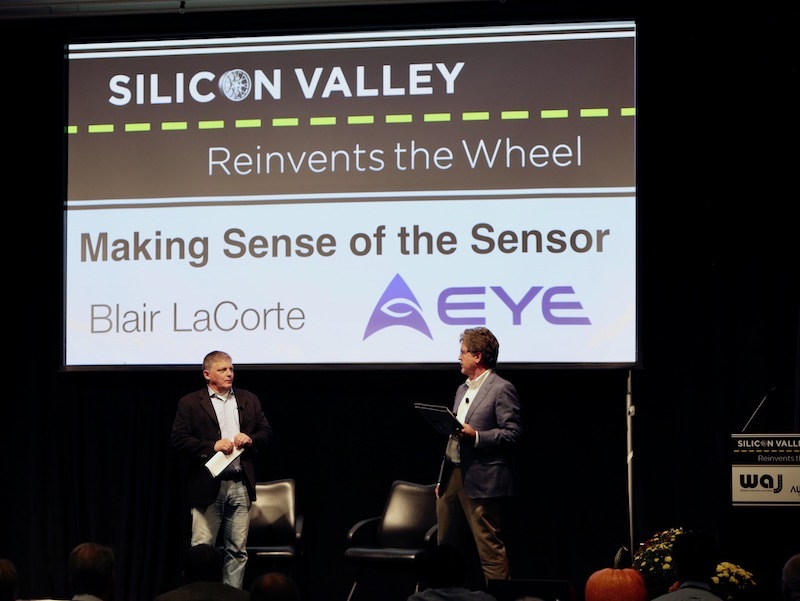 Both gentlemen talked about iDAR – intelligence direction and ranging which uses Solid-State Agile 1550nm LiDar, Prefused2D Camera+ 3DLiDar with Dynamic Vixels, and a feedback loop to create biomimicry. Jim Doty has a special background in studying how the brain works. He has written a book, Into the Magic Shop that sounds like an interesting read. He talked about Positive Psychology and how compassion – how we respond to others – makes a huge difference. His company, Accuray, where he was CEO, revolutionized how radiation treatments are done, reducing 40 treatments to 1. 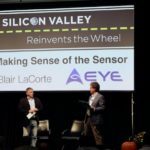 Doty and LaCorte described how the human eye works, and the challenges of creating artificial ones that can work as well. Humans perceive moment better than computers/sensors, and have a dataset based on experience, so on the fly, we can process temporal and spatial data very quickly and contextually to make a decision. Dr. Doty said that if you practice compassion with intention, it has positive effects on your health and longevity – you can train yourself to take data points and change how you react to them. However, AI is fundamentally ruthless. This entry was posted in Member Articles, Past Events, WAJ News and tagged 2018 SVRtW by admin. Bookmark the permalink.